For this discussion, though, I’m going to argue that this product/market model does not describe all the ways you should be thinking about growth. In some respects, it may be constraining your thinking since it does not directly address channels or more substantial business model improvements. When I talk about channels and business model improvements, I’m thinking primarily of all the rich opportunities afforded and enabled by digital technologies. Those of us at Chief Outsiders are big fans of insights, especially those related to your customers, your competitors, and your own business performance. I call this “outside in” marketing, which works to understand the broad canvas your business operates on. Internet and mobile technologies are key opportunities to adopt this healthy approach to business strategy and planning via key insights. More prosaically, but also an important opportunity, is the ability to operate your business more effectively and at a lower cost using cloud-based technologies. An example would be a cloud-based financial and accounting system. 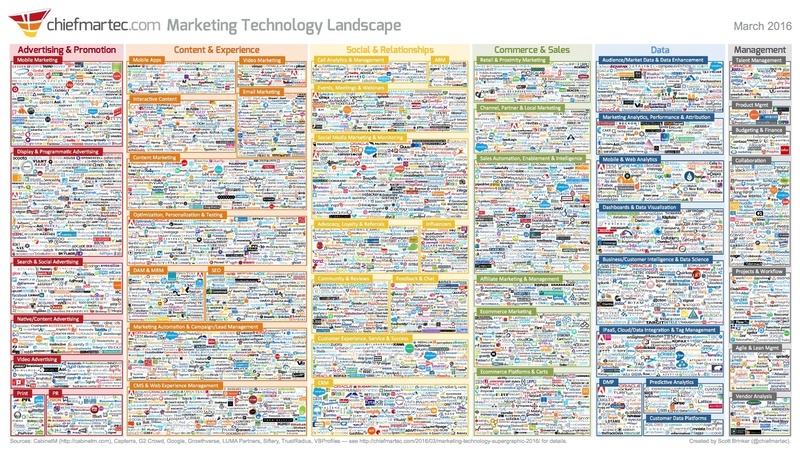 Digital technologies have one major contribution to growth: expanding your reach. Greater reach translates into more sales. Constraints on your customer acquisition activities due to personal contact and geographical limitations are quickly eliminated with a well-constructed website supported by digital marketing programs. Digital technologies can add value to your products and services through more personal customer interaction. Digital technologies replace ineffective interactions with real-time, higher quality interactions. Customer experiences become opportunities to cross-sell, upsell, and understand what additional features customers desire. These interactions support faster, higher confidence product iterations. This is an area of digital impact that I think often gets ignored. Digital technologies can help you locate suppliers, reduce product costs, reduce time-to-market, and improve employee productivity. A lower cost of doing business helps make your business more cost competitive. Being more cost competitive helps secure more business and market shares. This might seem like a long chain, but speed is one of digital’s great benefits. Getting Started: How’s Your Digital Growth Engine Today? While there are no absolute thresholds for what is a “good or bad” score, if you have fewer than 15 points, your use of digital technologies may not be at a level of maturity to help drive your future growth. If you are below 5 points, your business is at risk when compared to more sophisticated competitors. You might be surprised, though, how few small- and mid-sized businesses (SMBs) are effective users of digital technologies. By effective, I mean proactively setting goals and measuring performance and ROI. What are We Really Talking About with Digital Technologies? The world of digital can be very complicated and confusing. Beyond the world of smart phones and the Internet that we understand as consumers, definitions get blurred and the world of technology literally explodes in complexity. Here’s a simple spectrum of digital technologies. 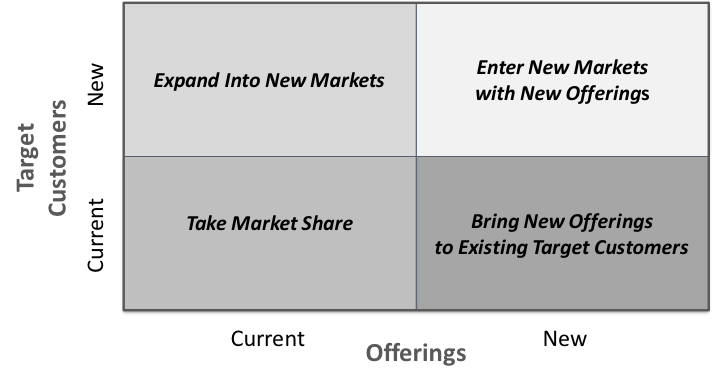 I offer this spectrum to provide a starting roadmap for your business. My recommendation is two-fold: first, that you move left-to-right on the spectrum, and that your early digital initiatives bring value to your customers. The second point is critical. I’ve seen companies, big and small, which have invested heavily in non-value-added digital technology and as a result, have lost their competitive advantage. In fact, when I hear clients talking about upgrading their ERP or ERM platforms, I honestly get nervous about the impacts, investments, and diversion of management focus those projects will have on their businesses. I had a client who spent two years implementing a new ERM, and consequently was not able to spend enough time and investment on upgrading their ecommerce platform. It proved to be a major setback which cost them revenues, profits, and market position. It was an expensive decision both ways — in the cost of the ERM and in lost market share. 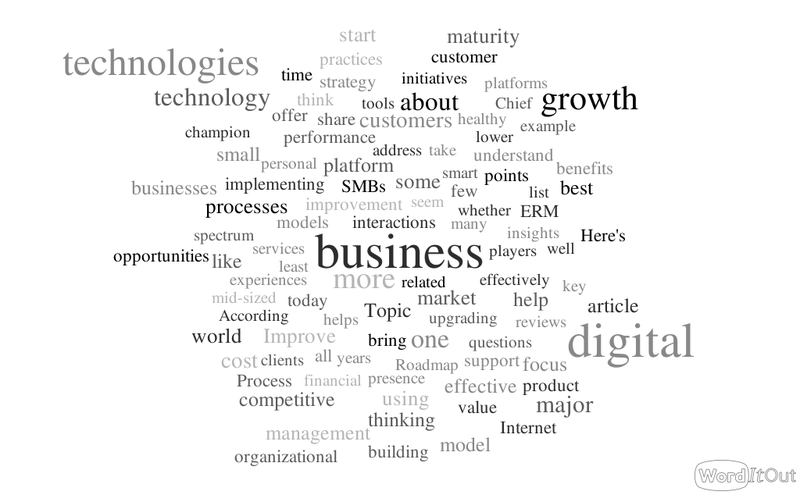 What’s the Difference Between Digital Technology Maturity and Business Maturity? The question SMBs executives used to be faced with was whether the digital technologies they wanted to use were commercially viable. Think back a few years ago when there were fewer major technology players, where technologies were evolving rapidly, and whether questions about vendor and product viability were honest and timely. Remember the world of browser battles? Remember the world of Internet and email provider battles? How about more recent choices like smart phone technologies offered between competitors? Now what’s your reaction to these rich choices? No one, and I really mean no one, can effectively evaluate all of these options. The right place to start isn’t on technology … it’s on your own business process maturity. 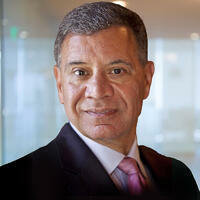 I encourage clients to start with a list of their business processes. The APQC has a very helpful standard called the Process Classification Framework which you can simplify and adapt for your business. I believe that it is important to start defining your digital strategy and plan by identifying those business processes you feel technology can bring value to. Then, once you have that working list in hand, you can start by simplifying and then automating those processes. This article will focus on building a market facing stage-gate approach supporting regular management reviews of growth initiatives and integrating growth management with EoS/Traction or other management processes. 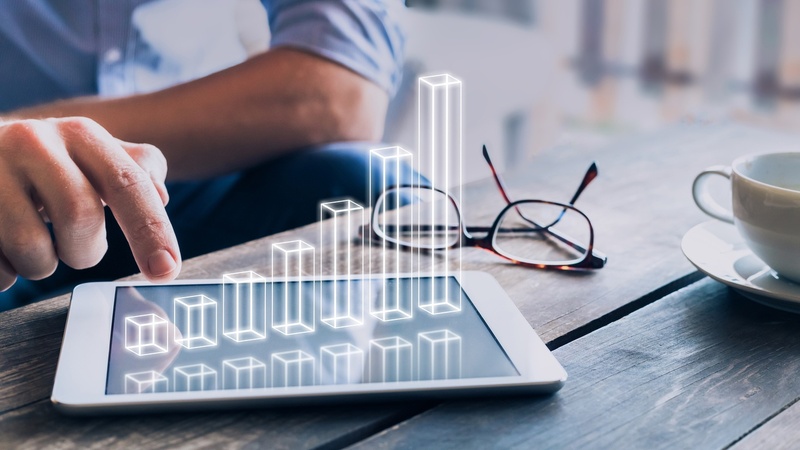 This article will focus on developing a healthy organizational growth culture, define a “growth champion” role, and prioritize resources needed to support longer-term growth initiatives. This article will focus on building a robust set of enabling tools which fit into the business, adopting and standardizing scorecards, financial models, business cases and business plans, and completing periodic reviews of voice-of-customer VOC, competitive monitoring, and market analyses. This article will focus on effective adoption of best practices, offer a logical sequence to implementation, and discuss building organizational and program maturity. 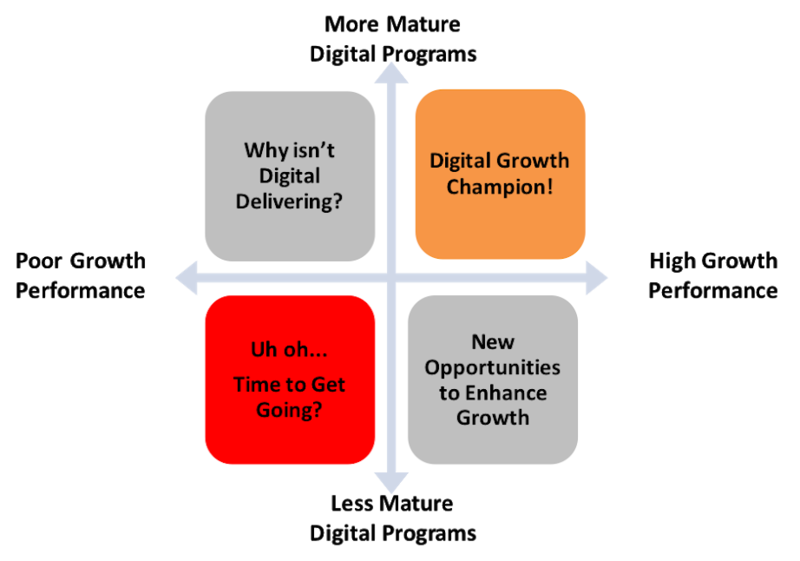 These articles will help you achieve “digital growth champion” status! Please stay tuned for more practical guidance as we bring best practices for implementing engines of growth forward. Do you have some ideas to share? Are there some topics that you would like me to specifically address? Give me a call or shoot me an email and I’ll be happy to chat with you.